(12 mins) In this episode, Dr. Hackie Reitman speaks with Kimberley Spire-Oh. Kimberley is a private attorney for Special Education and Disability Law, and is a special education advocate. In addition to serving on the board her at Different Brains Inc., Kimberley currently serves as co-president of the Learning Disabilities Association (LDA) of Florida, co-chair of the League of Women Voters of Palm Beach County’s Education Committee, co-chair of the Juvenile Justice Committee and member of the Advocacy Committee for LDA of America; on the Board of Advisors for the Council for Autism and Neurodiversity; and as a member of the Florida State Advisory Committee for the Education of Exceptional Students, the Florida Developmental Disabilities Council’s Partners in Policymaking 2012 Class, the Florida Association of Special Education Attorneys, the Disability Rights Bar Association, as well as the Palm Beach County School District’s Diversity and Equity Committee and Exceptional Student Education Advisory Committee. Kimberley discusses how raising her son led her to fighting for the rights of the neurodiverse and challenged, the common challenges parents face in making sure their children get proper support, and gives advice on how to support individuals with different brains. HACKIE REITMAN, M.D. 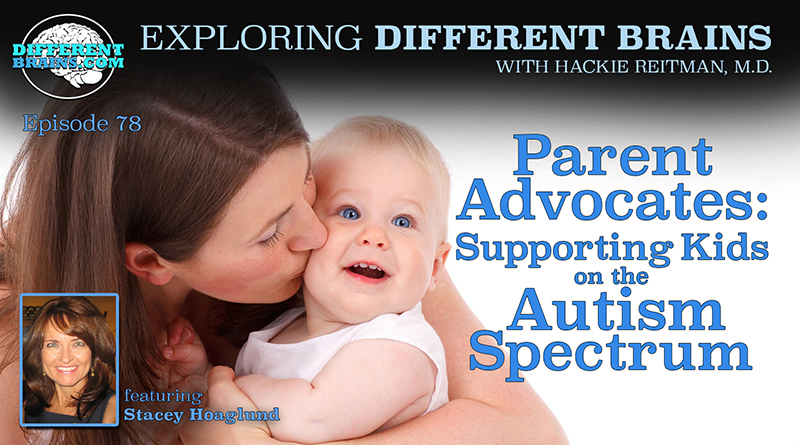 (HR): Hi I’m Dr. Hackie Reitman welcome to another episode of Exploring Different Brains. Today I’m so happy to have one of my heroes on the show here. She is none other than Kimberly Spire-Oh, who in addition to being an attorney who specializes in disabilities and special education, and fighting for the underdog. Kimberly is just about on every board there is here in South Florida, for all these worthy causes. And I’m really proud that she’s one of our board members on Different Brains. Kimberly welcome. KIMBERLEY SPIRE-OH (KS): Thank you very much it’s a pleasure to be here. know, tell us the story about how you got into all this. KS: When my son started public school, I trusted the educators to know exactly what he needed and to do everything in his best interest. When he started struggling and I started getting called into meetings I did everything they said. They asked me to medicate him they told me that if I didn’t medicate him that they would not allow him to attend public school and all sorts of things that are completely incorrect and illegal. As he progressed through his first year I started learning, investigating more about it. Although I had a law degree I didn’t know much about education law at all. It’s not one of the common courses that most people take and so I started learning the rights that my son and I had and learning exactly what his needs were, and how to advocate for them over the next couple of years. As I got more successful and more knowledgeable because there are many different parts to it you have to know about an individual’s disability, you have to understand disability law, which is different from a lot of other fields, and you have to work with the system and because you’re working with children it’s not the kind of thing where you want to get into big fights and litigate and do what you would normally do in traditional legal disputes. You have to try to work with the system and work collaboratively as much as possible. So as I learned all of this and learned the process, some of my son’s doctors and some of the other parents started approaching me and kind of told me that there is a need for such a thing and maybe I should go out and start practicing in that field. Although I had not been practicing law and hadn’t really in the about 17 years. After leaving law school I went back and took the Florida Bar and briefly worked as a legal editor in the disability field to learn kind of some of the ropes and then went out on my own and started practicing, first, in a very small firm with another practitioner who did bankruptcy law. Then now I’m out on my own for the past eight years. HR: Well that’s a great story and we’re so glad that you entered this field. Now because my brain is not wired to be able to remember all of these different wonderful boards that you’re on, why don’t you enlighten our Different Brains audience and tell us all these different great organizations where you’re a member of the board here in South Florida. KS: Okay I am co-president of the Learning Disabilities Association of Florida and with the members of our board we are trying to help individuals with learning disabilities from birth you know all the way through adulthood with all different issues. One of the big things that we’re trying to do in Florida is work on advocacy because our legislature has passed a lot of laws and will impact individuals with learning disabilities and we want to get involved and help to inform the policy makers to make the best decisions possible. So that’s one area and then the National Learning Disabilities Association I am co-chair of the Justice Committee that’s trying to work on issues of the school to Prison Pipeline for individuals with disabilities there are a lot of people with learning disabilities and all different kinds of disabilities who instead of getting the support that they need within the school system are based on fair discipline or arrested, instead of getting what they need that would have prevented the types of behaviors you know that led to these incidents. As well as that, I’m on the advocacy and nominating committees for the Learning Disabilities Association. Then locally, the League of Women Voters of Palm Beach County, I’m the chair of the Education Committee and I’m a member of the State Education Committee and we are working on also policy issues of the privatization of the public school system. What we’re finding is that, especially, in our state it’s being looked at as a guide for the rest of the country is being taking a lot of the funds for public education and giving them to private providers who are either charter schools or private schools, and that a lot of those privately run schools are not serving the individuals with disabilities who are within the school system. As well as any other students who are difficult to educate; students who come from disadvantaged backgrounds or who otherwise are behind and may not get fantastic test scores or kids who are having behavioral difficulties because of trauma that they’ve experienced. Those schools will take the money, but they’re not necessarily willing to provide the appropriate services to educate the students, and they may not be willing to. They may even reject you know keep the money, and put some of the students back to the public school system and that that’s causing a crisis in education. We are also working on trying to fully fund public education because we really want our schools to have the resources to provide everybody with what they need in order to succeed. Even individuals with the most severe disabilities are able to contribute and be full members of our society. We need to provide the resources so that they can instead of just having to take resources and have us support them and putting them off separate from the rest of the world we, need to give them what they need so they can contribute whatever it is that they offer, and live full lives. That’s off the top of my head. HR: I know there’s more. KS: Yes there is more. HR: Kimberly, I know in the medical world, as an M.D., we don’t get any training in this stuff, neurdiversity. I myself was completely ignorant until I accidentally got into all of this as a dumb orthopedic surgeon. Tell us a little bit about the legal world and lawyers and the world you inhabit. 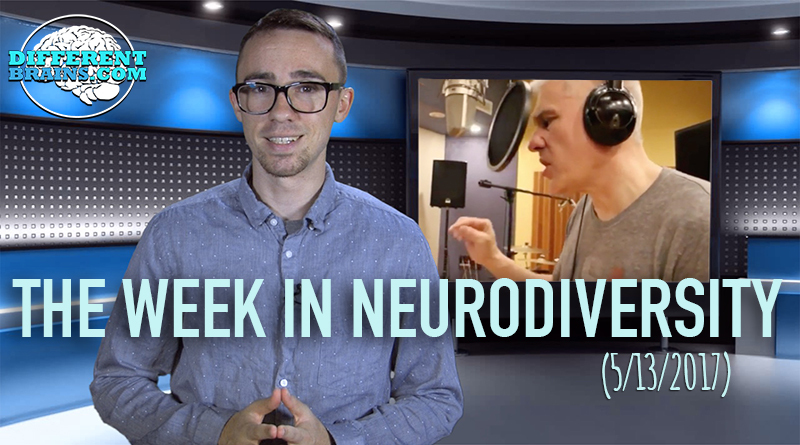 How much education are they getting in terms of neurodiversity? KS: I went to school quite a few years ago, but when I was in school we really got very little. The best I could say is that a lot of students take courses on discrimination law in general and since 1992, we’ve had certain laws, such as the Americans with Disabilities Act that many students have studied. When I talk to other attorneys, most of them have never heard of my field of special education law. I don’t know that even disability law is that well known. There is a Bar Association I belong to, the Disability Rights Bar Association, which is trying to change that. 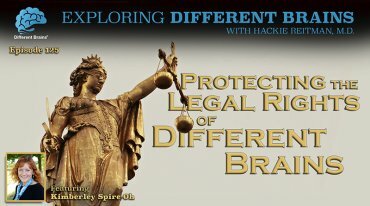 I’m also part of a group of an association of attorneys with disabilities who are trying to education the legal community about issues for individuals with disabilities and trying to educate the public about different issues that are faced and making sure that individuals with disabilities are fully included in society and that they have the same rights as everyone else. KS: There are a variety of resources out there to help you. The most important things are to really get to know your child and you probably do know a lot about your child but do research on whatever conditions or things they’re facing. Do research on what your rights are. You knowb those IEP or 504 plan procedural safeguards they’re sometimes hard to read, but you can look up on the internet and kind of get morally friendly or you know easier to understand explanations of what your rights are. Also you hear so many as a parent I can say you hear so many negative things about your child, a lot of times in the school system or sometimes from people who don’t really understand. You have to try to look for examples of people who have overcome similar conditions or are living with them and functioning really well. There are examples and resources out there you know sometimes to let your child know that there are a lot of very famous successful people who have dyslexia and let them learn the stories of these people will help you get through the difficult times that you’re going to face as you go through school and go through life and try to use some of the resources of other people who are going through what you’ve been through. There are lots of resources if you don’t know how to do these things or where to turn to. There are, if you have very limited resources, legal aid societies that can provide free assistance to you. The centers for Independent Living Options provide free resources and there’s Disability Rights Florida which is our state’s protection and advocacy organization and every single state around the country has one of those they can provide free advocacy and legal services, and help you know provide resources on things and then disability specific organizations including Different Brains is unique and that it is not specific it’s a wide variety of them but look to organizations and entities. They can provide resources and information the more of that that you know take advantage of the better off you will be. HR: Where can people find more about you? Where can they find you? KS: I have a website: www.ksolawfirm.com that has information. Some of the organizations that I mentioned have information about the specific things that I was talking about. I’m a member of the Disability Rights Bar Association and so I have a listing there. I’m a member of the Florida Association of Special Education Attorneys, so I’m on the list for that group as well. HR: Well, Kimberly, it’s been a pleasure having you here on this episode of Exploring Different Brains. Thank you for all that you do and we hope to see you again soon. KS: Thank you for having me. 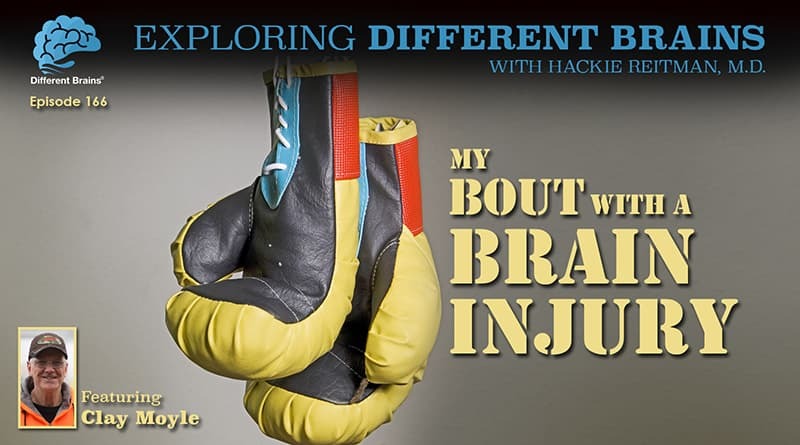 (26 minutes) In this episode, Dr. Hackie Reitman talks with brain injury survivor Clay Moyle.